This program is designed to create backup copies of device drivers. The program also finds the drivers for the non-living "units." The program can create 7z-archives, which can later be used as the driver packages in the program Drivers Installer Assistant. 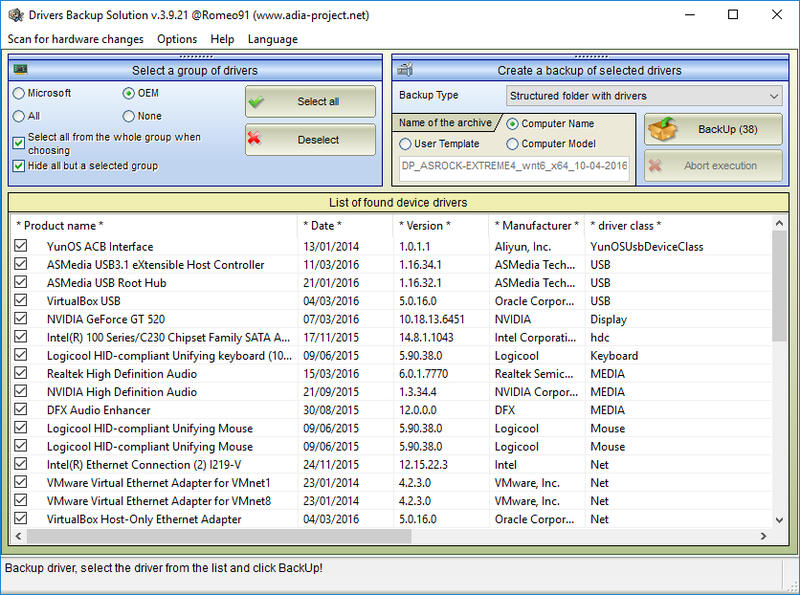 Drivers BackUp Solution is comparable in functionality and results of their work programs such as Double Driver, Driver Magician Lite, and many other existing programs for backing up drivers. One which the program does not (and probably will not), so it is restoring the drivers from the backup, but with that you yourself know very well cope Drivers Installer Assistant. 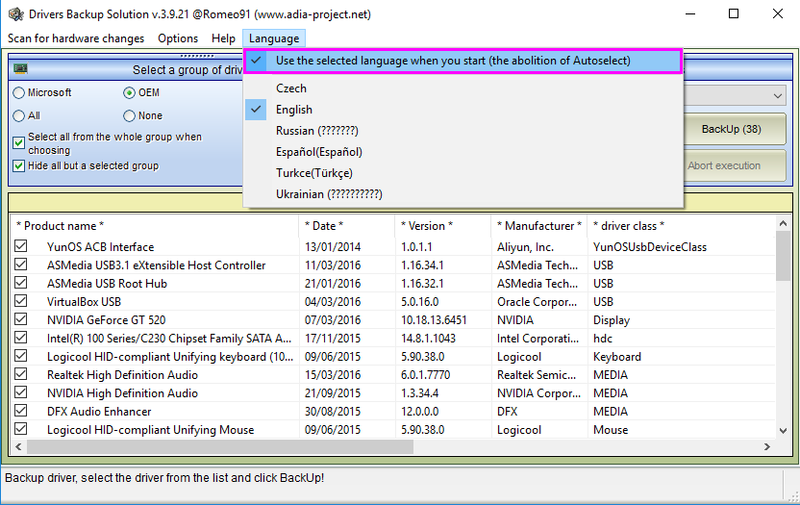 It is possible that the functional of the program later will be part of Drivers Installer Assistant. Program is written on VB6, so you can will be necessary some libraries. For installing the libraries you can download and install VB runtimes. Main libraries are enclosed in in body of the program. Also advisable at error to enable debugging mode in adjustment and created log also to attach to letter.